Samuel Haldeman, like to be called Professor and was known to take great care to help young people understand science. Samuel Haldeman was a respected and influential 19th century scholar who combined and utilized his extensive interdisciplinary knowledge. His academic breadth was unique, which allowed him to view each discipline unconventionally. At various points in his life, Haldeman studied biology, zoology, malacology, entomology, conchology, geology, chemistry, paleontology, philology, etymology, and orthography. As a person, Haldeman was “noted for his kindness to young students of science…Usually wearing a round fur cap, short, and with brilliant black eyes and slightly eccentric manners, he was a personage who lived in one’s memory.”(1) His personal relationships indeed helped shape his role and influence as a scientist. Haldeman’s love for the natural sciences was evident early in his life, as he compiled a collection of insects, birds, and fresh-water mollusks in his father’s barn. (2) His love for the natural sciences never died and he studied, taught, and lectured on many areas of natural history up until his death in 1880. His ability with and love for the sciences allowed him to be a leader on many fronts, cementing his place in history. In the year of 1842-43, Haldeman was respected enough to give a series of lectures on zoology at the Franklin Institute in Philadelphia. His scientific influence in Philadelphia continued, as he was documented to have been a member of the prestigious Academy of Natural Sciences of Philadelphia in 1845. (6) Haldeman published several articles during this period, mostly pertaining to the natural sciences, and more specifically to malacology, conchology, and entomology, which is defined as the study of insects. Despite Haldeman’s primary focus being on the very narrow fields of zoology, the breadth of his knowledge allowed him to author published articles on the broader topic of zoology. One article of particular importance was Haldeman’s “Remarks on Zoological Nomenclature,” published in the American Journal of Science and Arts in 1844. This article is not important because of its specific content, it is important because it represents the beginning of Haldeman’s study of philology. While Haldeman is still regarded as a leading zoologist, his interest in linguistics is evident, even within the context of zoological nomenclature. Despite the linguistic undertones of this article, however, Haldeman’s primary focus was still the science of zoology. 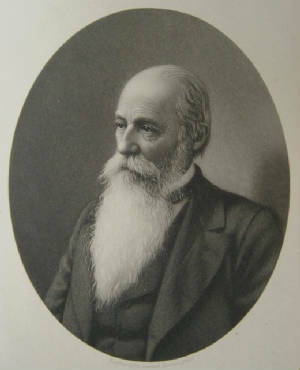 Haldeman’s transition from the natural sciences to philology was accelerated when he returned to the University of Pennsylvania in 1868 to be the first chair of the Comparative Philology department. Philology is the study of the structure and development of language. Haldeman had frequently utilized his extraordinary ability to distinguish between sounds in the field of entomology, and combining this with his research of zoological nomenclature, the logical progression leading to Haldeman’s transition to the science of language becomes evident. This was not a, however, a sudden transition. Haldeman had been in correspondence with the famous linguist Noah Webster (of Webster’s Dictionary) as early as 1838(10), and his award-winning article “Analytical Orthography” was published in 1860, a full eight years before becoming a philology professor. Haldeman quickly became widely respected in the field of philology. He helped found and may have been the first president of the American Philological Association (APA) in 1869. (11) In 1875, he was appointed to a committee the APA assembledto review the Noah Webster’s new spelling, and to determine the need for such change The committee concluded that change was indeed necessary, and specifically recommended eleven spelling revisions, all of which were endorsed by the Spelling Reform Association. (12) Haldeman held his professorship at the University of Pennsylvania until his death in Chickies, Pennsylvania on September 10, 1880. Samuel Haldeman influenced the scientific discipline in many different ways. As we have already seen, Haldeman’s research was progressive, diverse, and respected. Haldeman’s influence was not, however, purely research-based. He also influenced the sciences through his personal relationships and generosity. Haldeman was personally and professionally revered by many other influential (and better publicized) scientists. Haldeman befriended a young Joseph Leidy during his time at the Academy of Natural Sciences of Philadelphia. Haldeman even used his considerable influence within the Academy to land Leidy the position of librarian within his first year of membership. Joseph Leidy would go on to become a famous naturalist, holding positions as the chair of the Anatomy and Biology departments at the University of Pennsylvania, as well as the chair of the natural history department at Swarthmore College. Still today, his name graces Philadelphia on the Joseph Leidy Building at the University of Pennsylvania, the Joseph Leidy Public School, and Leidy Avenue(13). Haldeman was also respected and admired by the famous evolutionary biologist Charles Darwin. Darwin mentions Haldeman’s work in the “Historical Sketch” section of his most famous work, The Origin of Species. He notes that Haldeman’s research has aided him in reaching his conclusion on evolution(14). Darwin does not give Haldeman credit just once though, as he refers fellow scientists such as B.D. Walsh to Haldeman’s research, and makes note of he and Haldeman’s personal correspondence(15). Darwin is one of the most famous and influential scientists in history, therefore we are able to see Haldeman’s vast influence through Darwin’s respect for Haldeman. 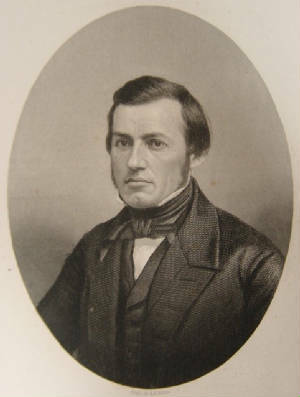 Former Secretary of the Smithsonian Institution, Director of the National Museum, and noted naturalist Spencer Fullerton Baird was also an admirer of Haldeman. Baird kept in correspondence with Haldeman in his early years, and when Baird was 21, he visited Haldeman at his house in Chickasalunga, whereupon Haldeman donated books and specimens to the young Baird(16). Samuel Stehman Haldeman gave his life to his scholarly pursuits, and his influence, though largely unnoticed, is astounding. Many of the most famous and influential scholars of the past were directly influenced by Haldeman both personally and professionally. Haldeman was able to aid in progressive research on many fronts, both scientific and linguistic. The fact that Haldeman was constantly on the cutting edge of every field he studied suggests that he was a man who challenged convention, a man who truly thought for himself. Samuel Haldeman was not only one of the greatest American scholars, but also one of the greatest American thinkers.